Simostronomy: Astronomy: Hobby or Obsession? I've often wondered if astronomy is still a hobby for me, or if it has evolved into something much more serious. Have I become obsessed? "The scientific study of the universe and of objects which exist naturally in space, such as the moon, the sun, planets and stars." "A pursuit outside one's regular occupation engaged in especially for relaxation." "An activity which someone does for pleasure when they are not working." Adding them together I'm not sure what to think about this concept. 'The scientific study of the Universe for relaxation and pleasure'? "A persistent disturbing preoccupation with an often unreasonable idea or feeling." "Something or someone that you think about all the time." Double eeew, that's really creepy. I may have a problem. I do think about it all the time. I'm thinking about it right now! How do we tell the difference between a nice, well-adjusted hobby and astronomy obsession? What are the signs of astronomy obsession? Is there a cure? Apparently, my search for the truth had just begun. The evolutionary path that many amateur astronomers take seems benign at first glance. But as you will see, this path is fraught with danger at every step. The imagination and curiosity of individuals is often sparked by their first experience seeing the stars overhead from a very dark sky. This can happen on a camping trip or a vacation to a remote part of the world, far away from city lights. Most city dwellers, about 60% of the world's population now, never see the Milky Way from their homes. In fact, so few stars can be seen with the unaided eye from the city that most people just don't bother to look up any more. Once they can actually see stars, patterns in the sky become obvious and the curious newbie astronomer will learn the bright constellations like Orion, Ursa Major, Leo, Scorpio and others, until they know their way around the sky fairly well. 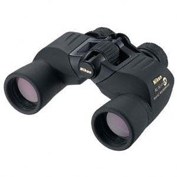 In order to see fainter objects the amateur may purchase her first pair of binoculars and learn the sky to more depth. The acquisition of the first telescope can be the first real dangerous step on the road to destruction. The first look at the Moon through a telescope is often all it takes to get a person hooked on astronomy. Seeing Jupiter and the Galilean satellites for the first time stirs feelings in most people they didn't know existed. The first look at Saturn and its rings is nearly 100% fatal. I think there should be a warning label on every telescope box saying, "WARNING: Looking through this telescope may change your life forever!" It is the quest to observe all the Messier objects that is the event horizon for most amateur astronomers. Once this boundary is crossed, there is no escape for the unwary amateur. It begins simply enough with casual peeks at the Orion nebula or the Pleiades. Then many of the other bright Messiers become well known to them, and oft visited. Most of the passionate amateurs I know can literally kick their Dob and land it on M81 and M82, after years of showing these two fine galaxies to everyone they know. This journey usually ends in frustration trying to eek out detail in M108 or the madness of trying to view all the Messiers in one night, an exercise in futility known as the 'Messier Marathon'. The frustration experienced by amateurs, trying to see faint, fuzzy objects with their first pair of binoculars or their first modest sized telescope, leads to the first obvious symptom of astronomy obsession- Aperture Fever. This is the unquenchable thirst for larger and larger telescopes and binoculars with which to view fainter and fainter objects. 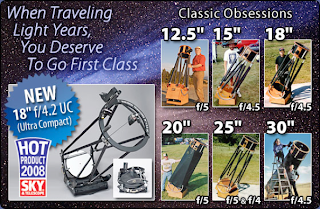 The history of astronomy in the last 400 years is littered with the wreckage of amateur and professional astronomers investing their hearts, minds, souls and money into the quest for larger and larger telescopes! This affliction is so serious I am devoting an entire blog to this subject alone. Once hopelessly obsessed with viewing fainter and fainter galaxies, clusters and nebulae, the amateur discovers the New General Catalog and other catalogs and observing lists from which to satiate their appetite for photons emanating from faint, distant sources. As if this weren't madness enough, many take the next step into astrophotography or photometry! It is with complete reckless abandon that the amateur dives head first into deep sky imaging and photometry. Once she has gone this far there is no stopping her until she hits rock bottom. Nothing else matters anymore, and there is little hope for intervention or salvation until the amateur is insane or bankrupt. All of this can be graphically represented in what is now known as the Simonsen T-M Diagram. Misery loves company, so inevitably the obsessed astronomer will end up joining mysterious, secret societies and organizations of similarly afflicted astronomers. The danger these organizations pose to you or your loved ones is directly proportional to the number of letters in the acronym associated with them. If you or a loved one has succumbed to astronomy obsession or addiction there is help, Astronomy Addicts Anonymous (AAA). The Seven Step Program of AAA is very similar to many twelve step programs for other addictions. Astronomy addiction is not nearly as serious as most addictions, people rarely die from it, so only seven steps are required for the recovering astronomer. We admitted we were powerless over astronomy. Made a decision to turn our will, our lives and our pocketbooks over to the study of the Universe, as we understand it. Made a list of all persons we had ignored or taken for granted, and became willing to make amends to them all. Made direct amends to such people wherever possible, except when to do so would cause us to miss a clear night. Seek through prayer, meditation, observations and Internet connection to improve our conscious contact with the Universe, as we understand it, seeking only knowledge and good weather. Having had a spiritual awakening as the result of these steps, we tried to carry this message to other obsessed astronomers, and to practice these principles in all our affairs. Labels: Amateur Astronomers, Astronomy: hobby or obsession? Holy heck! I've done everything except the CCD imaging. AND I own an Obsession (the 20"). Save yourselves, there's no hope for me! LOL....I really enjoyed this post. I am in no way yet "obsessed", but really enjoy the hobby. Ok, gota go, my 8" SCT needs its daily cleaning, I have to map out my 5 hour observing run for tonight, print my 22 pages of finder charts for my targets tonight that are assorted by RA, prep the car for the 2 hour drive to dark sky site, pack my 3 scopes, 18 accessories, 4 books, 3 star maps, 2 laptops, 1 battery pack, table, chair, 2 thermos with extra strong coffee and think of an excuse for coming in late tomorrow for work (again). Obsession, ha ha, you guys need to tone it down a little I think, after all, its just a hobby man! Hey, just had a thought - if I fall off my ladder and break my neck in the middle of the night in a remote area while using my 20" Obsession, I'll be one of the few people who do actually die from an astronomy addiction. It's just an excuse so that in casual conversation you can drop the line - "I've got a full set of Bessell filters". For those of you who like to mix astronomy with heights, here's a question for you. Where is "Gasgoine's Leap", and for what is it infamous? If you get this right I'll want to know why! I don't recommend EQ mounts for beginners. I don't recommend low end EQ mounts to anyone for anything. 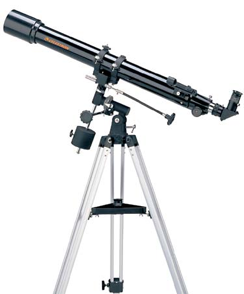 In fact, cheap "beginner" telescopes are much harder to use than scopes for "advanced" astronomers. Compare a $20 50 mm TwinStar refractor to a $500 250 mm Orion xt10. The Twinstar's alt-az mount sticks, so to move it to the object, you often overshoot in either up/down or left/right. The xt10 goes where you put it, and has adjustable tension if it doesn't. The TwinStar bounces around for ten or more seconds after you let go of it, or after your eyelashes touch it. The xt10 settles down in under a half second, and is critically damped so it never oscillates. The focuser on the TwinStar sticks - it's very difficult to get an image that works. The xt10's focuser may work best in one direction, but at least it smoothly moves, so you can put it where you want it. And so on. The advanced scope is easier to use. So, you might consider a small dob for the "beginner scope". I haven't succumbed to aperture fever. If i want a view through a huge scope, i can use the club Big Dob scope any time. And besides, there will be two or three guys to help set it up. And someone will probably even know where to point it. Who'd have thought that low magnification would be expensive? Why are cheap 50 mm scopes sold with 640x? Because high magnification is cheap (even when useless). Obviously, this entry is intended to be humorous, but being the rebel I am, I would like to offer a different viewpoint entirely. Before doing so, I will add that although I love astronomy, I have not progressed to buying a telescope due to funding issues or to astrophotography, which may be problematic with my technical ineptitude (I'm not sure I could ever learn how to use the equipment correctly). My main point, however, is this: I don't believe an "obsession" is necessarily a bad thing. This is a cultural bias that comes largely from Hollywood, which depicts anyone single-minded and intensely passionate about anything as the equivalent of a stalker. If you love something, what's wrong with thinking about it all the time? For creative types including artists, writers, musicians, scientists, etc., this is often a normal way of being, and this type of intense focus is often what results in great discoveries or works of art. I believe it's better for someone to have something he or she loves and can't wait to do every day or night than someone who does little more than watch TV and lives "a life of quiet desperation." How boring! Not all obsessions are the same. Astronomy isn't going to destroy one's liver or lungs. If it's not hurting anyone, what's the problem?